macro databases and foundry proven yield and reliability data of our breakthrough NVM technology. FUKUOKA, Japan, Nov. 5, 2018 / — The Embedded Flash Memory (NVM) technology has been a key component of the MCU and the IoT marketplace of several generations of technologies. Despite a significant amount of R+D effort, there is not a commercially available Embedded Flash Solution with Floating Gate or SONOS cells in the 28nm and lower process nodes which utilizing Hi-k Metal Gate (HKMG). Access to a low cost NVM IP solution in these advanced technology nodes, 28nm and below, is needed in the IoT market. It will result in a significant increase in the number of applications, and market adoption for IoT chip designs. To address this need, NSCore is developing a new bit-cell structure, “P-Channel Schottky Cell”, on HKMG. It will require NO additional processing steps and it is targeted to achieve 10K cycles of endurance. NSCore’s 30+ patents the its ability to build NVM IP solutions without any additional layers in a standard digital process, enables it to provide this unique solution in the 28nm technology node and beyond. The recently announced strategic relationship with Spectral Design & Test will also enable NSCore to offer a Compiler version of their NVM IP. This feature will enhance the chip designer abilities to make design and physical layout trade-offs as they architecture new chip designs. The overall targeted performance for this new NVM are: 10usec of program time, 10K cycles of endurance and over 10 years of retention. Since the NSCore NVM solution does not require any additional processing steps in the standard logic process, it will be a low cost NVM IP solution. Also due to the planar nature of these advanced but non-FinFET process nodes, many industry experts expect them to be the workhorse technology nodes for all future IoT development activity, and NSCore is looking to play a significant role in this market. SOMERVILLE, N.J., Oct. 10, 2018 (GLOBE NEWSWIRE) — Spectral Design & Test Inc. (SDT), the leading provider of embedded MemoryIP, announced it has signed a joint marketing agreement (JMA) with NSCore Inc to OEM MTP/OTP solutions based on SDT’s Memory Development EDA platform. The combination of targeted automation software and silicon proven NVM IP for MTP/OTP, customers will now have access to One/Multiple Time Programmable (OTP/MTP) non-volatile flash memory that can be configured for their PPA requirements. New IOT applications require architectural exploration with requirements changing through the product development lifecycle. The Spectral and NSCore partnership is designed to deliver innovative embedded memory technology to semiconductor chip designers and system integrators. The JMA includes joint development, sales, marketing and service investments to support both companies MemoryIP and software product lines. 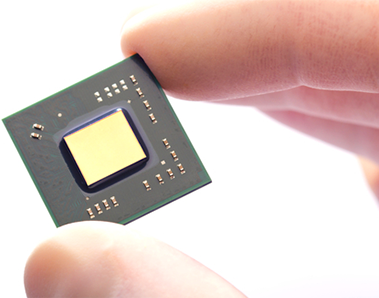 OTP/MTP solutions from NSCore are silicon proven from 180nm to 22nm process nodes. Spectral sells software for tiling, analysis, characterization and verification of MemoryIP. The methodology and expertise to develop Memory Compilers enables Spectral to efficiently develop cost-effective solutions without upsetting the customers ecosystem. Spectral will work closely with NSCore engineers to provide configurable OTP/MTP solutions to the marketplace. Both companies will leverage their respective sales channel to deploy each other’s MemoryIP offerings. Copyright NSCore Inc. All rights reserved.